Dhaka, 8 May, Abnews: The Executive Committee of the National Economic Council (Ecnec) approved 13 development projects involving Tk 13,288 crore. 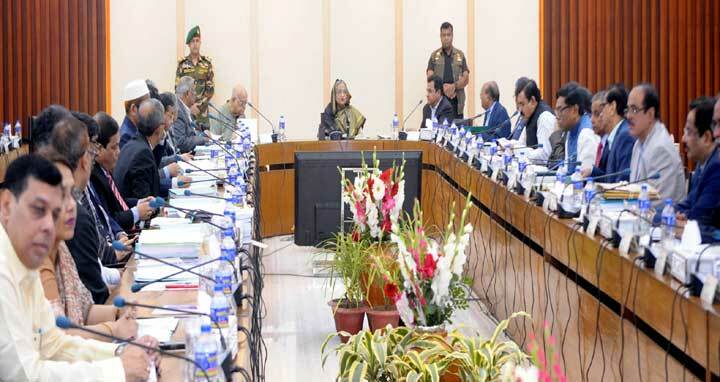 The approval came from the 23rd Ecnec meeting of the current fiscal, held at the NEC conference room on Tuesday with Ecnec Chairperson and Prime Minister Sheikh Hasina in the chair. "Today, 13 projects were approved with an estimated cost of Tk 13,288 crore,” said Planning Minister AHM Mustafa Kamal while briefing reporters after the meeting. He said a total of 15 projects were placed in the meeting for approval, but two projects were sent back for necessary recast. Of the approved 13 projects, nine are new while four ones are revised projects.